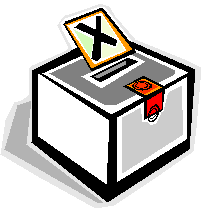 Come out to vote in the Village Elections on Saturday, April 27, 9 a.m. – 3 p.m. at Claret Hall. River Hill residents age 18 or older are permitted to vote. Residents must bring proof of person, residency, and age to the poll. A Maryland driver’s license, Howard County voter registration card, passport, and/or birth certificate may be used. New residents may present a deed, lease, or utility bill displaying their River Hill address. Are you unable to vote in person? Beginning on April 7, absentee ballots will be available for residents unable to cast a ballot in person. Absentee ballots may be requested in writing through April 17 or picked up at Claret Hall through April 26 at 5 p.m. Proof of person, age, and residency is required to obtain an absentee ballot. All absentee ballots must be returned to Claret Hall by midnight on April 26. One candidate is running for a position on the association’s Board of Directors: Matthew Levine, and two candidates are running for the River Hill Council Representative position: Renee DuBois and Dipper Wettstein. Candidate statements are available in the 2nd news article on the River Hill Community Association’s website and also on page 9 in the April issue of The Villager. The association’s Election Committee will hold a Candidates’ Forum on Monday, April 22 at 7 p.m. at Claret Hall. Residents are encouraged to attend the forum to meet the candidates and learn more about their perspectives on issues. At their meeting on April 1, the Board of Directors will consider whether to reduce its size to five members, which is the minimum number required, or keep the board at seven members. If a decision is made to maintain a seven-member board, then the association will announce a request for letters of interest from residents interested in being appointed to fill two positions. Plan to do a little spring cleaning while coming to vote on Election Day! The very popular Shredding and E-cycling event will run from 10 a.m. to 2 p.m. on April 27. This event will be held in the parking lot in front of Claret Hall and is free for River Hill residents. I.D. is required. Non-residents may take advantage of this service for a $5 fee. We still need volunteers to assist on Election Day from 8:45 a.m. to 3:15 p.m. One hour shifts available! Help is needed outside with shredding and inside at the polls. Please contact Susan Smith, Village Manager, at 410-531-1749 or manager@villageofriverhill.org to volunteer.